Let’s sum up TBS’ sitcom The Last O.G. : Tracy Morgan can anchor a show with varied personalities but his character, Trey, is scattered. Tiffany Haddish is woefully underused and her character, Shay, underwritten. The tenth episode, the season one finale, doesn’t wipe the slate completely clean for Trey. In the season finale named “Clemenza,” Trey decides he wants revenge on Wavy for snitching on him. Trey, inspired by the Godfather films, plots a murder with his fellow ex-cons at the halfway house. Referencing The Godfather in this episode and in the pilot would be a witty reference if I cared so little about Italian mob movies and shows. That goes awry when Big Country couldn’t cleanly hide the gun in the coffee shop bathroom where there’s a hidden camera (more on that later). Before Trey does the deed, he visits Shay’s house one more time. Shay is distraught that her husband, Josh, hasn’t come home last night. With the help of social engineering access to Josh’s credit card info, Trey finds Josh in a bar shirtless almost going out his mind relapsing to his old heroin addiction. After Trey and Josh have a talk and Trey shows off his new Air Jordans (Josh lets that credit card purchase slide), Trey is off to confront Wavy. This is where the scattered part comes in. Depending on the writer, Trey either cares more about being the baddest dude in the Brooklyn or is in the genuine road to becoming a better man. Wavy tells Trey that it was Clyde, Trey’s cousin whose aggro antics were on display in the previous episode-length flashback, who betrayed him. If Trey shoots Wavy, his building trust with his two kids is all for nothing and he kills a man who went legit. Previous episodes have him displaying a conscience (example: the episode where he returns to sell crack to wealthier Brooklynites only to get out of it when he sees the harm). But nah, Trey has got to get out of the coffee shop for season two and find new situations for hi-jinks. Thus, his attempted murder is botched without a trace of humor or thoughtfulness. By the end scene, Trey is at peace with everyone despite Wavy firing him as a barista after finding the gun. Maybe he’ll become a professional chef? The Last O.G. can be silly and a little brazen, but it can’t act like a run-of-the-mill sitcom where there are very few consequences. 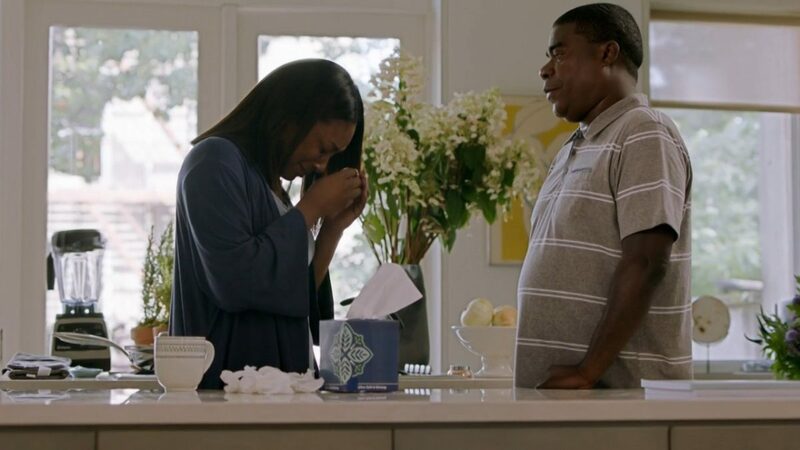 Tracy Morgan has the charm the make him sympathetic, but it’s up to the writers to keep the viewers invested in wherever Trey ends up in season two.